Celebrate a different red, white and blue banner in D.C. on Saturday, July 14 — Bastille Day in France — and commemorate the beginning of the French Revolution in 1789. From restaurants to a baguette race, here’s how you can celebrate liberté, fraternité et égalité. Enjoy a soirée of French music from the late '90s to the 2000s at U Street Music Hall as resident DJ Will Eastman spins Daft Punk and other French music icons. Grab a French flag and check out some of the Bastille Day-inspired visuals. The party (or, in French, la boum) is set to start at 10:30 p.m. on Saturday and go until 3 a.m. Tickets are $10 in advance and $12 on the day of the event. 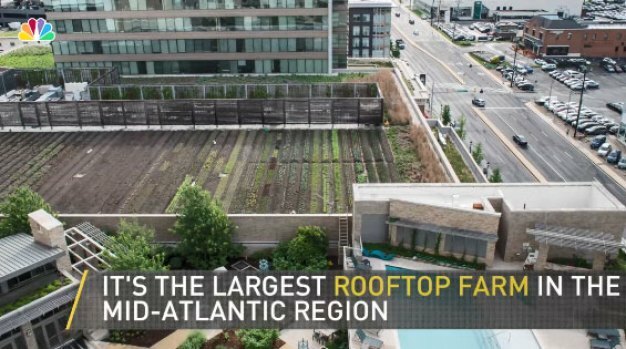 A 17,000-square-foot farming oasis sits more than six stories high atop an apartment building in North Bethesda, Maryland. For the highly dedicated Francophiles, the French Embassy is celebrating Bastille Day on Friday with the northwestern region of Alsace as the theme. Dress up à la mode in cocktail attire, enjoy wine and food from a variety of local restaurants and dance on the patio to live music, among other fun cultural activities. Check the Eventbrite for ticket prices. Vive la révolution and brush up on your French Revolution history with the Virginia Museum of Fine Arts’ exhibit on Napoleon Bonaparte in Richmond, Virginia. Learn about the self-titled Emperor and his rise to power after the French Revolution through more than 200 works of art. Admission is $16 for adults, $12 for seniors and $10 for youth. 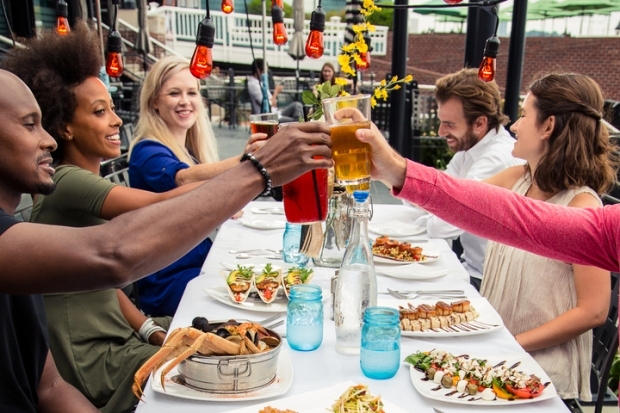 A variety of French food and fun activities are planned all day and all-night at Le Diplomate on 14th Street. During the day, Le Diplomate is set to host live accordion music, a street side glacé cart, family-friendly activities and an all-day café menu. After dark, Le Diplomate is kicking off the night with DJ entertainment at 9:30 p.m. followed by drag queen performances at 10 p.m. Come for sketches of the soiree by a caricature artist, stay for some frosé. What’s more French than a baguette? Check out the annual baguette relay race at PAUL Bakery on Pennsylvania Ave. on Friday from 3 p.m. to 5 p.m.. If you’re in the mood to win prizes, sign up a team of six and participate in the baguette relay race. Enjoy the music and the pastries as people race around the United States Navy Memorial. Fessenden Park is celebrating Bastille Day on Saturday from 2 to 4 p.m. by bringing France to Tenleytown. The park on Fessenden Street and Wisconsin Avenue is bringing crepes from Matisse and Chat Noir, French wine, juice for the kids, sunflowers and fun games. Admission is $10. Enter Petworth Citizen on Thursday at 6 p.m. where a Bastille Day-themed wine taste-off is set to take place between Williams Corner Wine and Glou Glou wines. The audience is to decide the winner, so show up and pour one out for France. Bleu, rouge, et blanc. 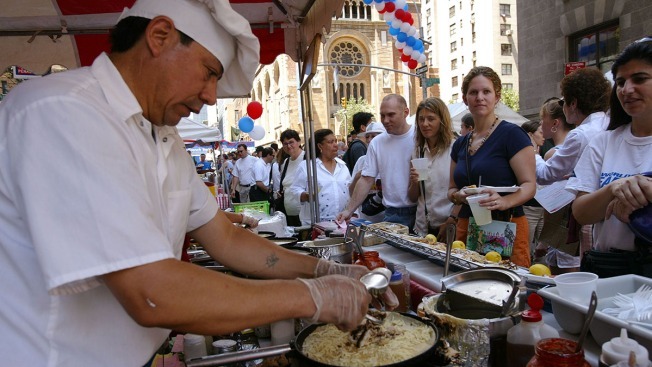 Grab a parasol and a tricolore snowcone and cool off at Sofitel's Bastille Day Picnic in Lafayette Square on Saturday. This picnic has a variety of free cultural activities open to the public. Sample the French picnic fare or take photos with French cutouts. Tickets must be reserved on Eventbrite.